Previous Article Can a calculator predict your risk of heart attack and stroke? 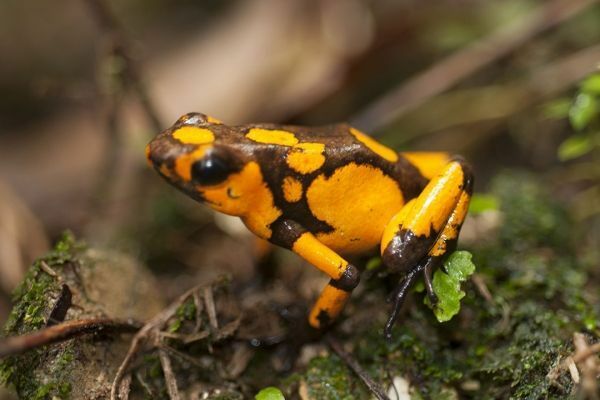 University of Saskatchewan researchers José Andrés and Andrés Posso-Terranova have discovered three new species of poisonous dart frogs — tiny and incredibly colourful animals that live deep in the Colombian jungle and appear to be already at risk of extinction. By studying more than 300 dart frogs, the researchers have found that two existing Oophaga frog species actually “hid” three additional groups, and that there are actually a total of five species. The results, just published in the journal Molecular Ecology, will allow the researchers to provide Colombian policy makers with evidence that can inform targeted conservation strategies for these endangered frogs.